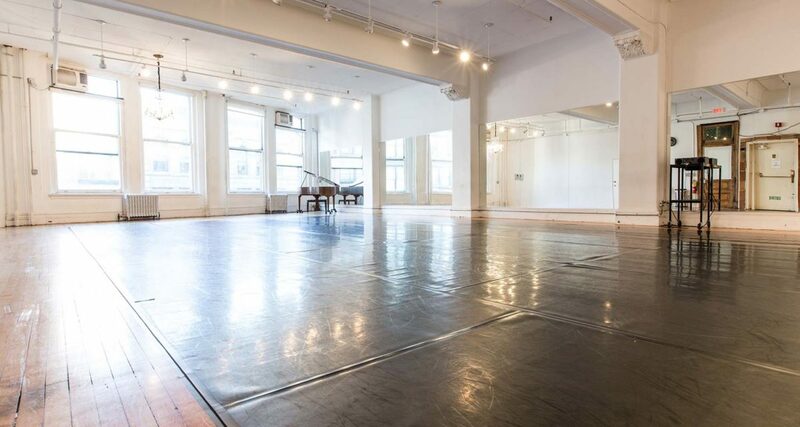 A beautiful and spacious, sunlit studio with four large windows overlooking Broadway. This pillar-free studio also features a chandelier that is original to the space and a grand piano. Located at Gibney’s 890 Broadway location in close proximity to the elevator and main administrative office. Use of shoes prohibited. Use of shoes in Studio 1 is prohibited. 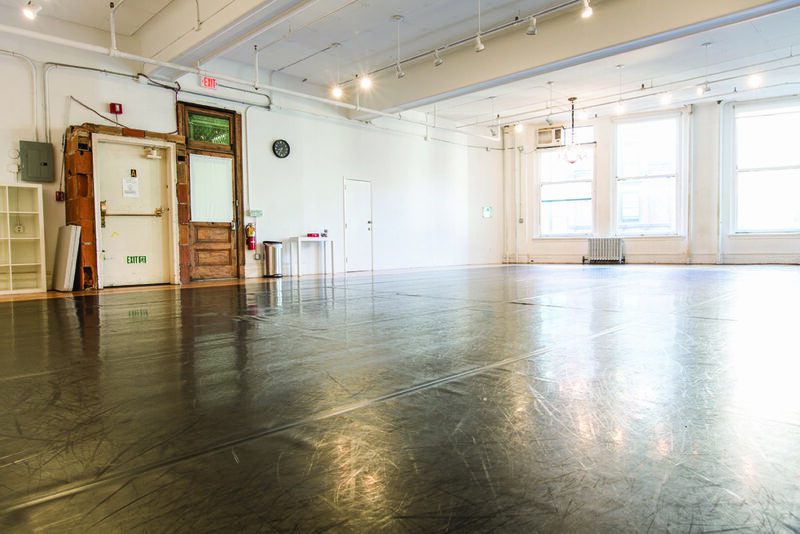 Before Gibney expanded into the space, Studio 1 was the home of Barbara Matera Ltd., a renowned costume designer for Broadway, film, and ballet. Barbara designed costumes for over 100 Broadway productions, including A Chorus Line, The Lion King, and Wicked; films including The Great Gatsby and 101 Dalmations; and numerous ballet and opera productions for the Metropolitan Opera, New York City Ballet, and American Ballet Theater.